it's in the cue sheet, right-mouse click and select "Save Target As" to download. In a world of illusion you only see what you feel! Dj GT is the best ! great mix like always...keep it up!! can anyone tell me how to download the sets using a macintosh? awesome quality mix!!! 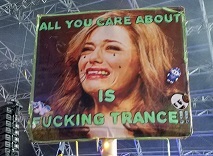 as usualy very good trance loving music. thank! I like this mix, I dled the later ones, so I thought I'd check out #1... just as awesome. Honestly, thanks for providing these for free. You make playing Counter Strike that much more enjoyable with your tracks! great mix. thanks for the share! Working link on first page.